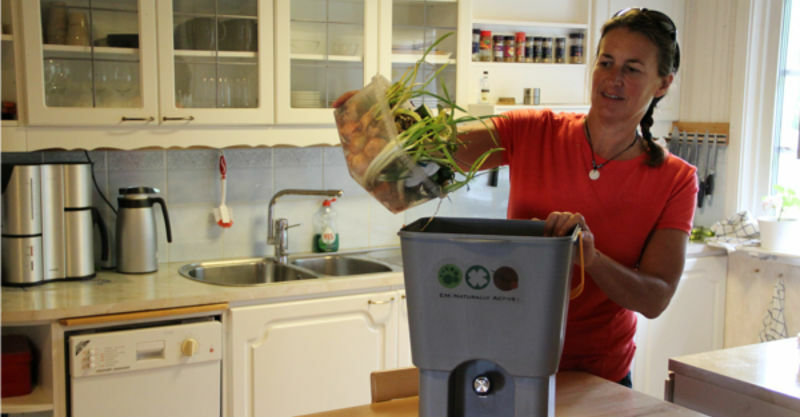 If you’ve been yearning to start composting – this is the year to do it! 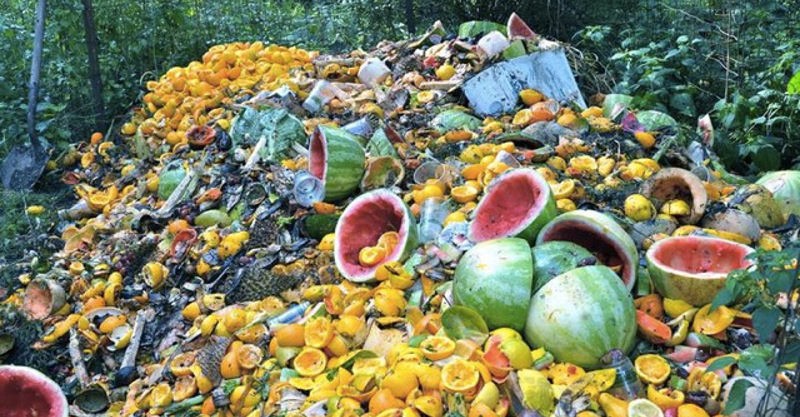 Composting mimics nature’s recycling plan, only it does so on super-warp speed when done right. A compost pile starts out as a diverse pile of “waste.” The easiest compost systems are simply left alone to decompose into rich, smelling garden amendment, while others require a little elbow grease. 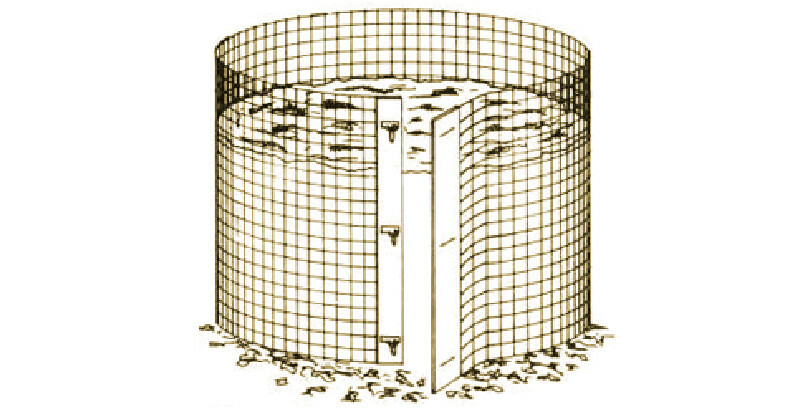 Two important ingredients to any composting system are aeration and moisture. Sometimes heat can make sure that you get a composted soil that is rich with beneficial fungi, beneficial bacteria, and earthworms, as well as the enzymes and acids these life-forms release as they multiply. 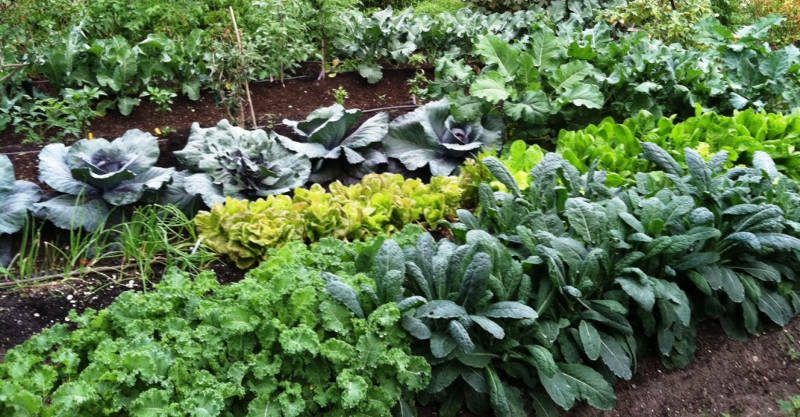 These soil nutrients can turn a half-dead garden plot into a Garden of Eden bursting with bumper crops. Not only does adding organic composted soil to your garden help its water-retaining capacity, it also helps to build the immune system of your plants – making your favorite trees, vegetables, flowers, and fruit better able to respond to the challenges presented by a thriving ecosystem – including pesky insects and diseases. It also removes trash that the municipal collection agencies would normally have to retrieve, and which would go to waste. Yard trimmings, such as leaves, grass clippings, garden debris, and brush, make up over 20% of a typical household’s solid waste. Here are 7 great compost bins that are easy to set up today to start using your ‘waste’ to create your own nutrient-rich ‘black-gold’ soil to add to your gardens. 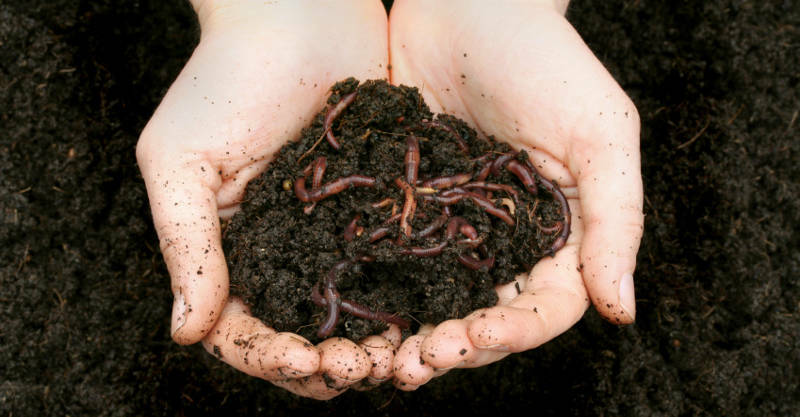 Vermicomposting recruits the help of worms to help aerate and prepare the soil for re-use. You’ll need to start by creating a worm bin. You can purchase one at a local gardening shop, online, or even make your own. Unlike regular garden earthworms, which just burrow in the soil, red wiggler worms (Eisenia fetida) act as nature’s recyclers, helping to decompose organic matter. You can put onion skins, coffee grinds, carrot tops, and apple cores in your compost bin for red wigglers to decompose into great compost. Almost all organic kitchen scraps are good fodder for wigglers, as well as leaves and grass clippings from your yard. Although not traditionally used in the United States, Bokashi is an ancient practice of fermenting food waste by covering it with a mix of microorganisms that suppress odors and eventually creates rich, healthy organic compost. 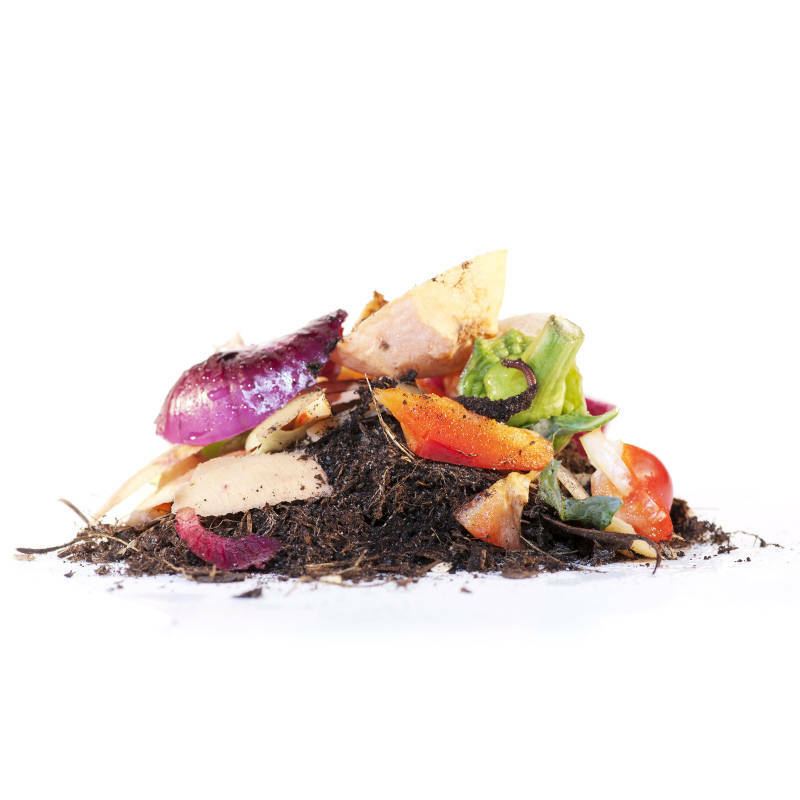 One of the many benefits of Bokashi is that when food scraps from your kitchen break down, they don’t smell. Unlike in other composting methods, you can even throw in scraps of meat and dairy products instead of just vegetable and fruit remains. Japanese farmers have always covered food scraps in their rich, regional soil, which contains microorganisms that ferments the food. After a few weeks, they bury the waste. Two or three weeks later, it yields some amazing soil. No petrochemicals needed. Many people are hesitant to build a composting system because they are unsure of what materials to use. This is understandable, because some wood composting bins can rot when exposed to the weather. After all, the contents inside the bin are going to rot – but you don’t want the container to decompose as well. 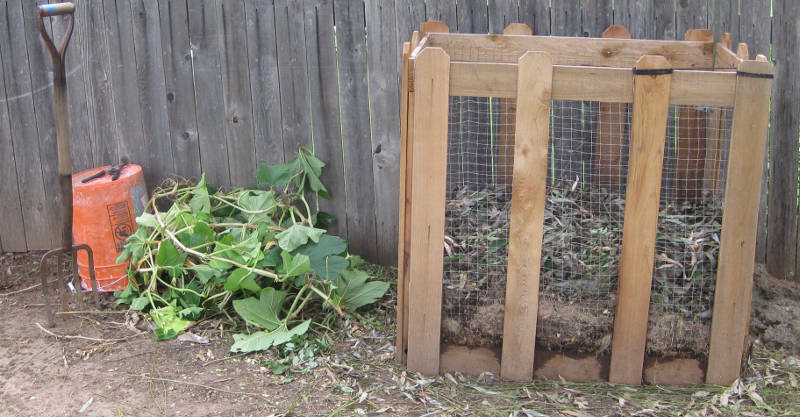 Using chicken wire and cedar planks – your compost bin can create great soil and also stand the test of time. For various do-it-yourself plans using these simple materials, have a look here. Composting involves using a variety of ingredients so that you have a healthy balance of organic ingredients. When considering compostable materials, you need to pay attention to how long each of your additives take to break down. High nitrogen materials, like grass, will break down very easily and wood chips may take up to two years to reach the humus stage. The higher or wider the carbon:nitrogen ratio (C:N), the longer time it will take for breakdown to occur. Making sure you add enough fast-break down items to wood chips or tree limbs will make sure you get a rich compost that is fully ready to spread on your garden. The Agriculture Department of Texas A&M gives many recommendations for obtaining the right balance of ingredients in your compost. 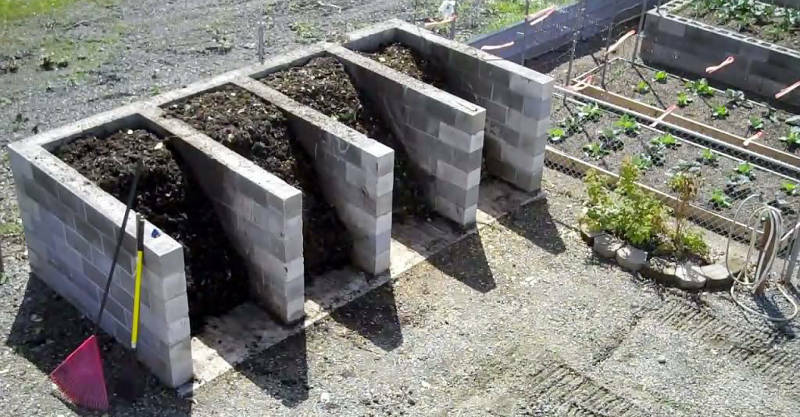 The three bin system is a commonly used way to compost waste to create viable soil. You can purchase them or build them yourself. (There’s a great set of plans here, and there are also some great pictures of home-made compost systems here.) Using the three bins helps to keep newly added waste from interfering with bits of trash and leaves that have already started to decompose. The final bin is where compost can be shoveled out to place directly onto your garden – well after any dangerous pathogens have been killed in the process of composting. Perhaps one of the easiest ways to compost is by creating a simple round bin from wire and a few zip ties. You can place this type of bin in the back corner of your yard, or even near your kitchen if you aren’t worried about pests getting into kitchen scraps that you might add to the pile. 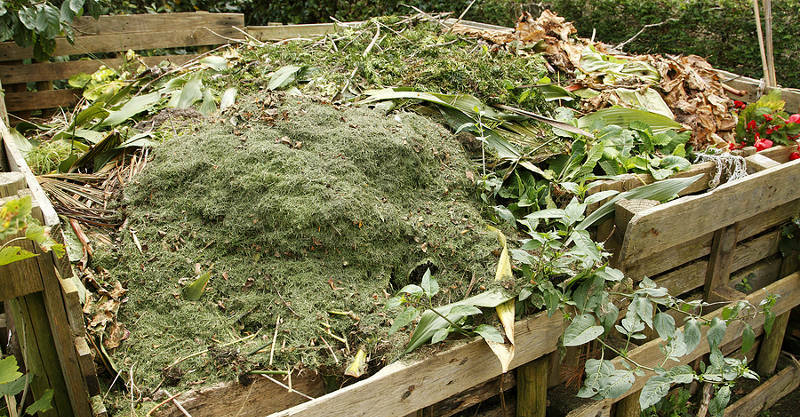 While best for getting yard wastes to work for you, if you are concerned about attracting rodents, roaches, or other scavengers, it is a simple way be sure that grass clippings, shredded newspaper, and even torn up egg cartons can become working ingredients for eventual composted soil. Though this project is so simple, you hardly need plans, you can see examples of a wire bin compost system, here. Finally, one of the most ridiculously simple ways to compost is simply by starting a pile in your yard. Those who live in the city obviously don’t have this composting method as an option, but rural-dwellers can simply dump their grass clippings, wood chips from felled trees, autumn leaves, kitchen scraps, and more straight into a pile. As long as you add a little sawdust or hay to keep the pile ‘brewing’ and cover up kitchen waste with yard waste, you should be able to develop rich composted soil in no time. Passive composting is a great way to get organic fertilizer for your garden without having to rely on industrial petrochemicals and biotech pesticides and herbicides – since composted amended gardens often have great natural pest resistance. Cornell University also offers a variety of different composting systems you can look into from snow mesh bins to concrete block compost systems or even garbage can composting in addition to the systems listed above. 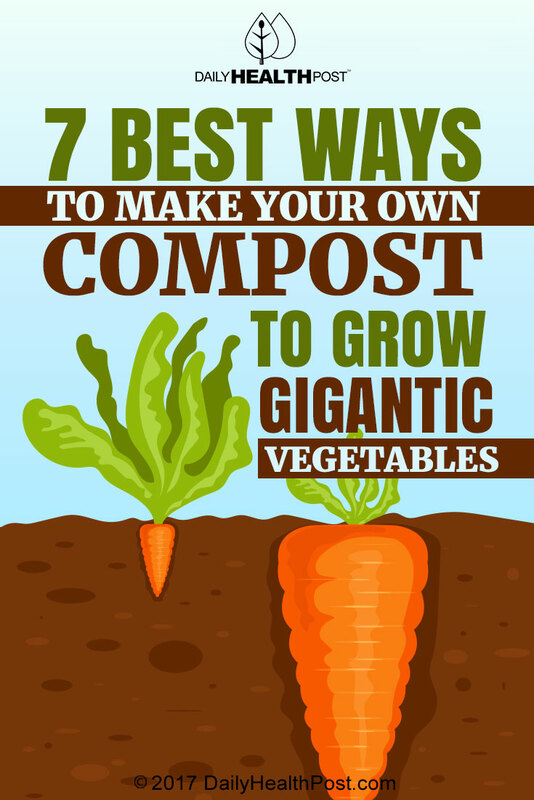 Do you have a novel approach to composting you’d like to share?